Australian Dollar, like other risk-correlated currencies, saw a brief return to risk on Monday. With the Pound being sold against most of its rivals due to a resurgence of Brexit concerns, GBP AUD looked to lose value for its second consecutive day. 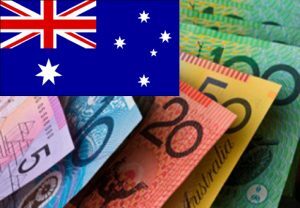 The Australian Dollar was also supported by the Reserve Bank of Australia’s latest meeting minutes. The report was generally optimistic, but some traders will take concern with the bank’s lack of positive things to say about Australia’s job market. New Zealand Dollar (NZD) – The Pound to New Zealand Dollar exchange rate continued to edge lower on Tuesday after seeing modest falls on Monday. While a brief surge in risk-sentiment boosted the ‘Kiwi’ on Monday, anxiety about the ongoing natural disaster in New Zealand kept NZ markets on edge. The same could be said about Tuesday trade. While Sterling plunged on Brexit concerns against many rivals, its losses against the currently unappealing New Zealand Dollar were limited. Pound Sterling (GBP) – The Pound slipped back against many major currencies on Monday as investors reeled slightly from last week’s bullish Pound run. While markets remained cautiously optimistic about the possibility of a UK-US trade relationship under US President-elect Donald Trump’s administration, some perceived Sterling as having been overbought. As a result, traders spent most of Monday readjusting their positions. The Pound continued to fall on Tuesday morning as markets reacted to a memo, reportedly leaked from the UK government, stating that as recently as the 7th of November there was no concrete plan for the Brexit process yet. While Trump’s victory had previously taken some pressure off the Brexit-battered Pound, this news was just what traders needed to get those Brexit jitters fired up again. US Dollar (USD) – The Pound to US Dollar slumped on Monday, shedding around half of last week’s gains within hours as investors perceived the British currency as having been overbought last week. The US Dollar, on the other hand, performed strongly due to ongoing hopes of a short-term economic boost for the US under President-elect Donald Trump’s plan for higher spending and tax cuts in order to stimulate the US economy quickly. However, the first slew of bad press for the Trump administration since his election weighed on the US Dollar on Tuesday. The ‘Greenback’ rebounded slightly from its highs against many currencies and was also held back by a chorus of criticism over Trump’s controversial pick for the White House’s chief strategist. Euro (EUR) – The Pound to Euro exchange rate held relatively steadily on Monday. While Sterling initially attempted to continue its advance while the Euro was weakened by ongoing populism fears, it lacked the bullishness to end the day considerably higher and as a result GBP EUR trended flatly by the end of Monday trade. The Euro finally got its welcome break on Tuesday morning and attempted to make a considerable recovery of over 1% against the Pound. As Sterling was weakened by the latest Brexit news, the Euro rebounded from its lowest levels. Germany’s disappointing Q3 growth figures did little to hold back Euro demand. The Euro was also bolstered by expectations that the Eurozone banking sector was in a position to benefit from the market’s current government bond selloff. Canadian Dollar (CAD) – The Pound to Canadian Dollar exchange rate extended its losses on Tuesday after slumping on Monday in movement similar to that seen in the GBP AUD exchange rate. GBP CAD performed worse than other commodity-correlated Pound exchange rates as the latest oil-price news lent the ‘Loonie’ a leg-up. Oil prices recovered from multi-month lows overnight as shale output dropped and investors renewed their focus on OPEC’s planned oil output cut.